Posted October 5th, 2012 by bbsadmin & filed under General Business, Motivation. 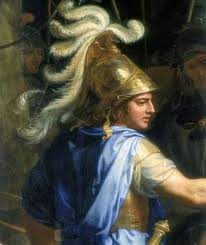 One of the worlds greatest leaders and conquerors was Alexander the Great. Following are some things we can learn from his conquests and leadership style. Alexander the great was well educated. He was taught by Aristotle. He learned many subjects under Aristotle’s tutelage including philosophy and politics. He was inspired by the Iliad and read it often. People believe it was the Iliad that led him to become a military leader. Because people act according to their knowledge and through the filter of their perception, it is critical for successful business people to get a good education like Alexander the great. If your competitors have a superior knowledge to yours, it will be hard to compete since decisions are based largely off knowledge. Simply mimicking actions of competitors does not ensure success. There is a chance that by the time you have mimicked the move it is irrelevant to the success of the business (as change is constant). It is a better investment to gain business intelligence yourself and learn to make your own decisions. Just as the Iliad affected Alexander’s life decisions, your knowledge will affect your business decisions whether it is blatant or inadvertent. Strategy at the time of Alexander the great is as much needed in the business world today as it was back in his day. The fact that he conquered much of the known world of his day is evident that he understood the art of strategy. Alexander’s military force had a short sword and a large shield. The large shield could not only block blows but could hide the very small swords which the soldiers used. The shield was used to push through the lines of enemies. The light weight sword would allow quick movement. 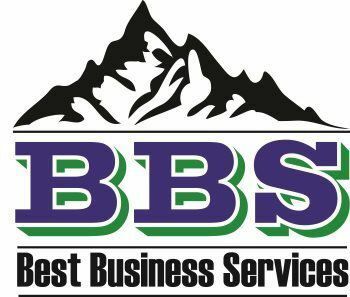 In business change is constant and businesses must strategic plan to meet the challenges. They must be up on their toes and ready to change with the changes that lie ahead. Consider what could have been if all the soldiers had different strategies. What if their shields were all different sizes because they had their own way of doing things. The army probably would not have been as effective. What is your main strategy in the current condition? Is it consistent throughout the company? Alexander attacked with confidence which made his enemies fear. His soldiers knew that he would not ask them to do what he was not willing to do himself. The confidence he demonstrated seeped into the hearts of the men he led. Business leaders who understand that their example sets the benchmark are able to find success as their greatest attributes seep into their workforce. Alexander had success as he chose the best people to be in his elite team. They got him out of sticky situations several times. He teaches us how important it is to carefully select those who are in your top management team. They should be relentlessly supportive, intelligent and willing to hold your back. Before going into battle he spent time considering every possible move his opponent would make. He liked using the element of surprise But went to great lengths to make sure he was not caught by surprise himself. We can learn the importance of thinking things through and carefully planning so we are not caught by surprise. “Remember upon the conduct of each depends the fate of all.